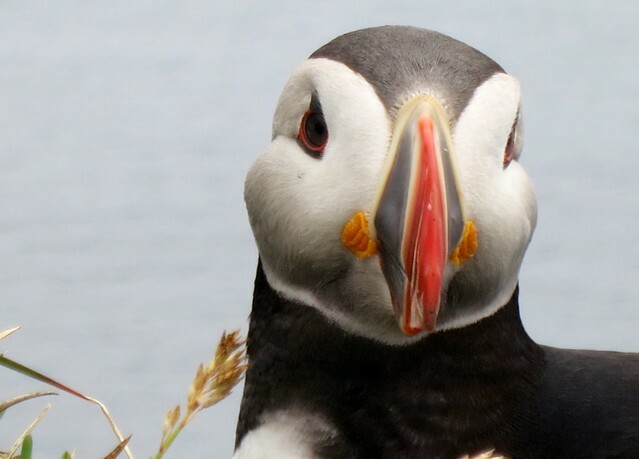 This Látrabjarg puffin doesn’t approve of your tastes. Students — and probably not only students — often praise Chaucer’s Miller’s Tale for being “more realistic” than the “Knight’s Tale.” With its love of the so-called lower functions, of “mere lust,” and cynical deception, the Miller’s Tale isn’t loaded down with all the high seriousness and sublimation of the Knight’s: this is what they say, anyway. But why should bawdy cynicism be more “realistic” than a commitment to duty and honor and a willingness to die for one’s beliefs and desires? Why should selfishness, and the belief that you’re the free agent in a world of silly fools who just don’t know how things really are, man be the truth? This self is just as much as ideological carapace as duty and honor. In general, the preference for realism strikes me as a lack of empathy, an unwillingness to believe that other people have beliefs (or that you too have your own stupid prejudices). It’s a preference that gives us the Reeve’s Tale, which is, if anything, a “more realistic” version of the Miller’s Tale, and that gives us, ultimately, that godforsaken genre, the “Gritty Reboot,” which, as we all know, is ideology critique, consciousness-raising, and desublimination, all at once, but for total jerks. This entry was posted in MedievalBlog and tagged chaucer, Geoffrey Chaucer by medievalkarl. Bookmark the permalink.